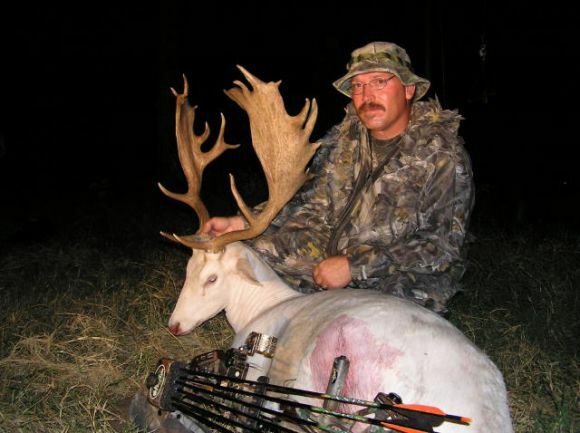 Double Arrow Bow Hunting offers fantastic trophy fallow hunts for bow and rifle. 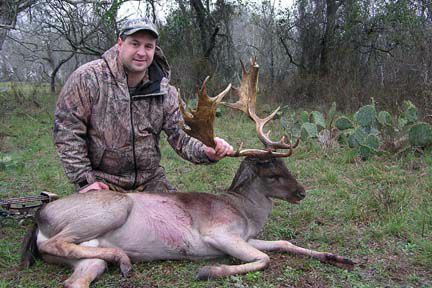 We have two properties where we can hunt record book fallow deer in Texas with large palms. 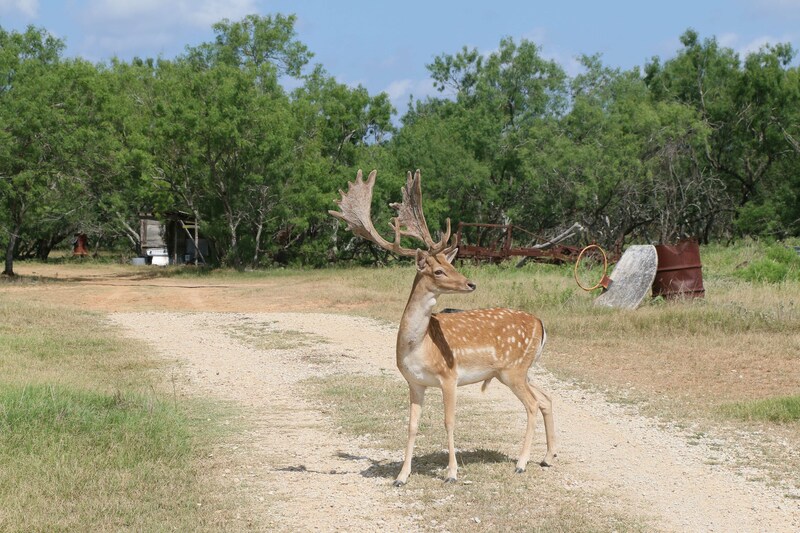 Fallow deer originate from Europe to Asia Minor as they have been translocated over the centuries. 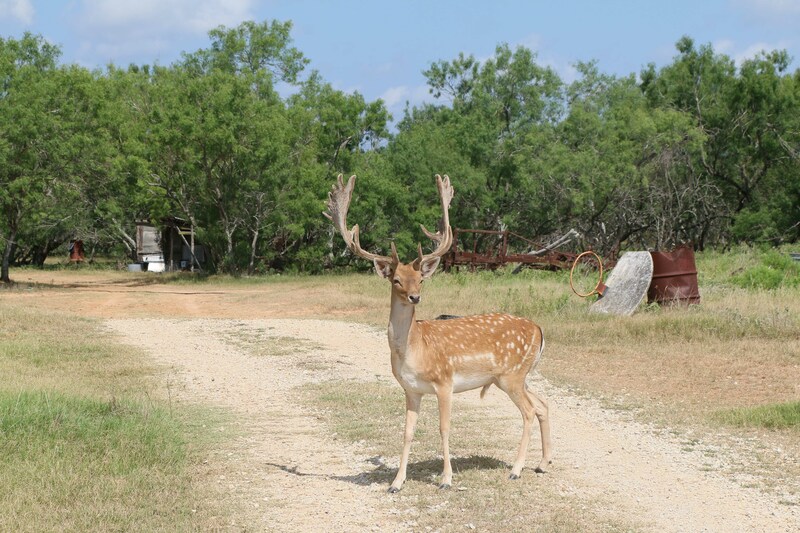 Our fallow deer come from great genetics producing nice palms from 5″-7″ width and multiple points. 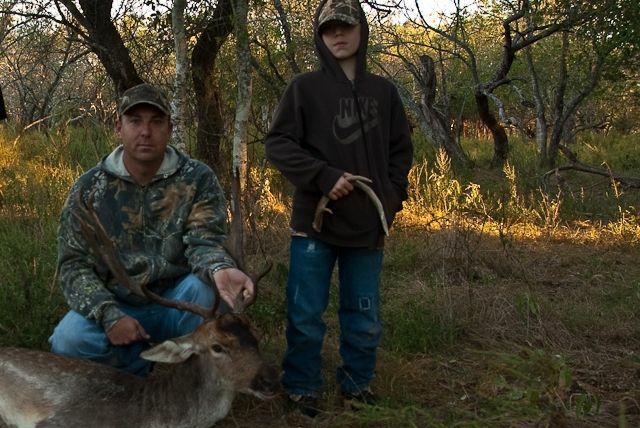 A good record trophy fallow buck will have at least a 6″ palm, long tines, and many points. Most record book fallow that score well will have over 20 points total. 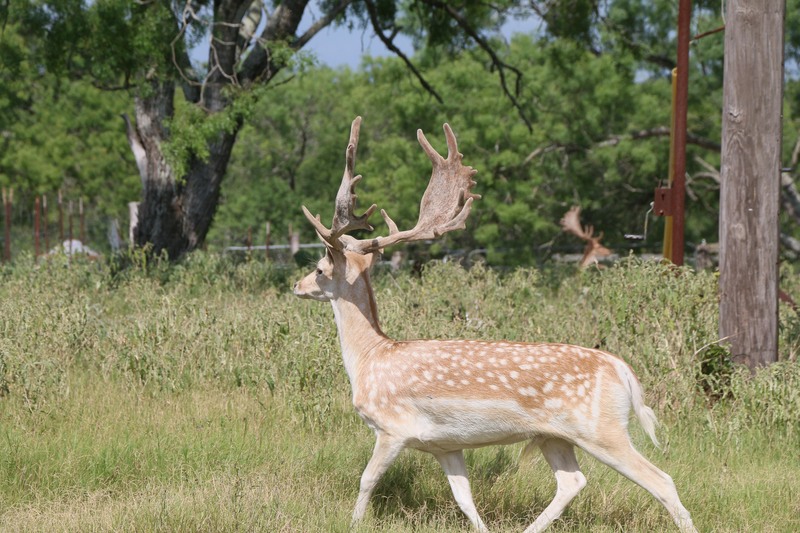 Fallow deer hunts can be conducted from August to February, but after January you risk the deer dropping its antler. Sometimes a fallow will start its rut in mid to late September and can range through October. Fallow can browse and graze so their eating habits can easily change. They will go to feeders and food plots equally well as whitetail and are often seen in the same areas as our whitetail deer.